Do you have WhatsApp? 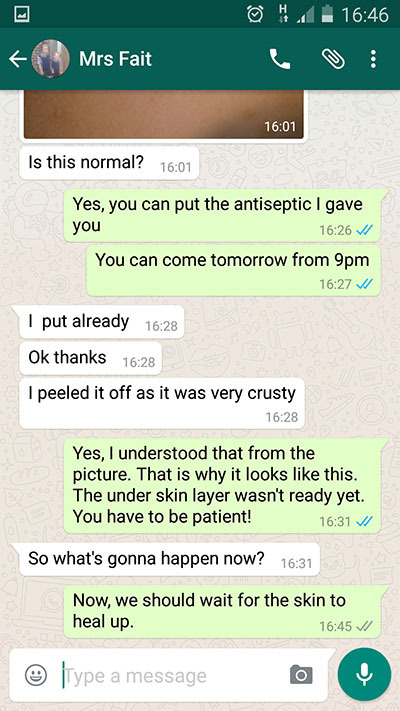 Then why not try our Free WhatsApp Patients Support? Now with the WhatsApp new security, it is safer than ever to get the support you need. 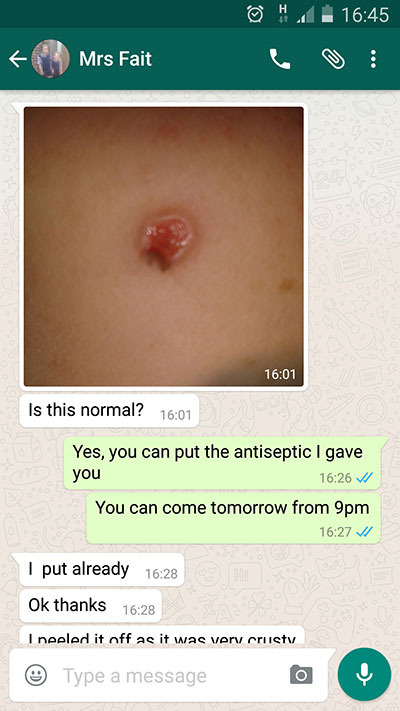 Simply add HP Dermatology number +44 (0) 7596 827 706 to your WhatsApp contact list and send us a test message. Wait for a reply and that is it. You are now connected to the most advanced patients support! Is only one example of many cases we now support day in and day out. This is the second part of the messages exchanged with Mrs Fait. This is only one example of many cases we now support day in and day out.